The odds are that this is Blechnum orientale. It can be quite variable depending on light levels etc. 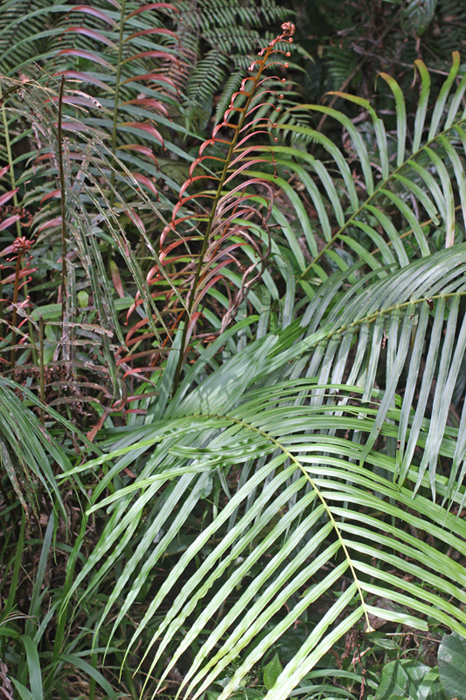 A diagnostic help is that large fronds should have auricles on the stipe below the pinnae, though we can’t see into the centre of this fern sufficiently to confirm that. 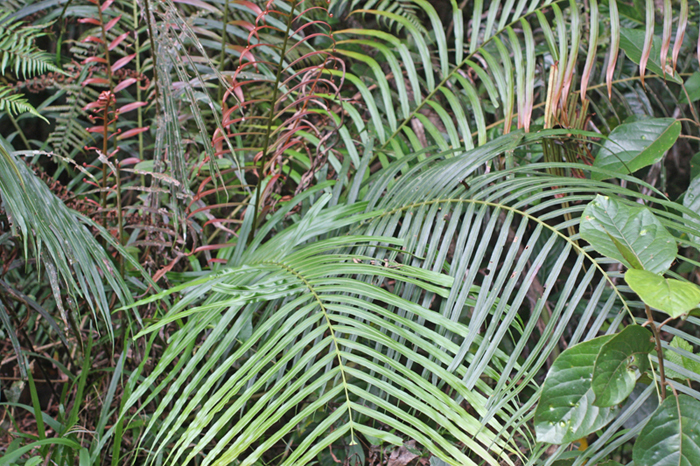 However, the colour of the young fronds and the size makes B orrientale most likely.